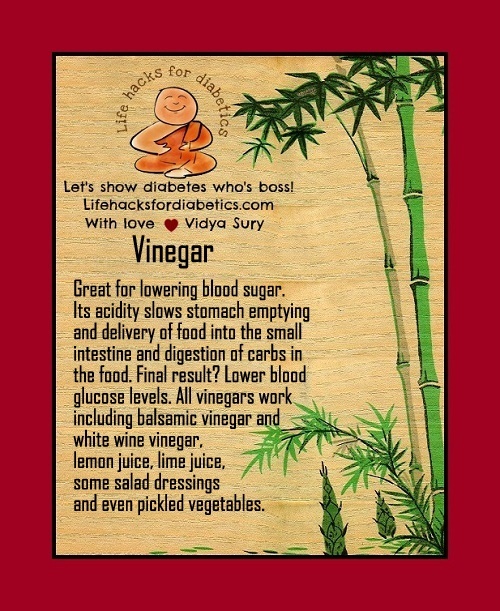 Vinegar is great for lowering blood sugar. Its acidity slows stomach emptying and delivery of food into the small intestine and digestion of carbs in the food. Final result? Lower blood glucose levels. All vinegars work including balsamic vinegar and white wine vinegar, lemon juice, lime juice, some salad dressings and even pickled vegetables. Really interesting one. I will definitely tell my husband. I love vinegar and splash it on almost everything. My blood sugar levels are fine, unfortunately my husband’s aren’t. Thanks for sharing.